Porsche has been added to Apple’s list of automakers to support their infotainment system, CarPlay. Now, more news is coming up noting that the German luxury sports carmaker is a huge Apple fan. Apparently those who own a Porsche and pre-ordered the Apple Watch will be able to use their wearable device as a remote control when paired with the vehicle. Starting from model year 2014, Porsche Car Connect brings you the ability to remotely access your Porsche from your iPhone. This requires that your Porsche is equipped with a Porsche Car Connect unit. 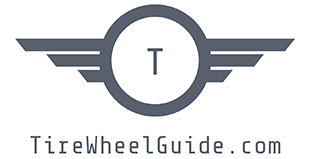 Depending on your country, your model and the options installed, you will be able to remotely locate the position of your Porsche, fold exterior mirrors, set timers for charging, read the tire pressure or set a geo and speed fence. And as of April 2015, Porsche Car Connect is Apple Watch-ready, offering even more convenient remote display and control of your Porsche. Features include: safety notifications, journey statistics, vehicle status, and a vehicle locator. 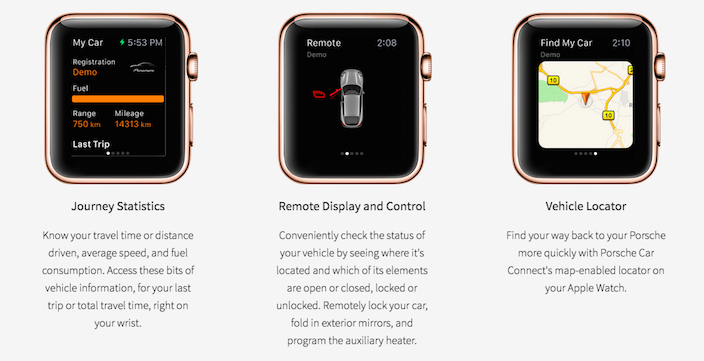 If you always forget where you parked your car, you will be able to locate it in no time with the Apple Watch. It was noted however, that the only Apple Watch compatible Porsche models are the Cayenne, 918 Spyder, Panamera, or Macan built 2014 or later and has Porsche Car Connect installed. Do you have a Porsche but didn’t order the Apple Watch yet? Maybe you should as it seems like there are many benefits to having the device work with your car. But then again, that’s just our two cents. This entry was posted on Wednesday, April 22nd, 2015 at 9:11 am. It is filed under Automotive, News. You can follow any responses to this entry through the RSS 2.0 feed.